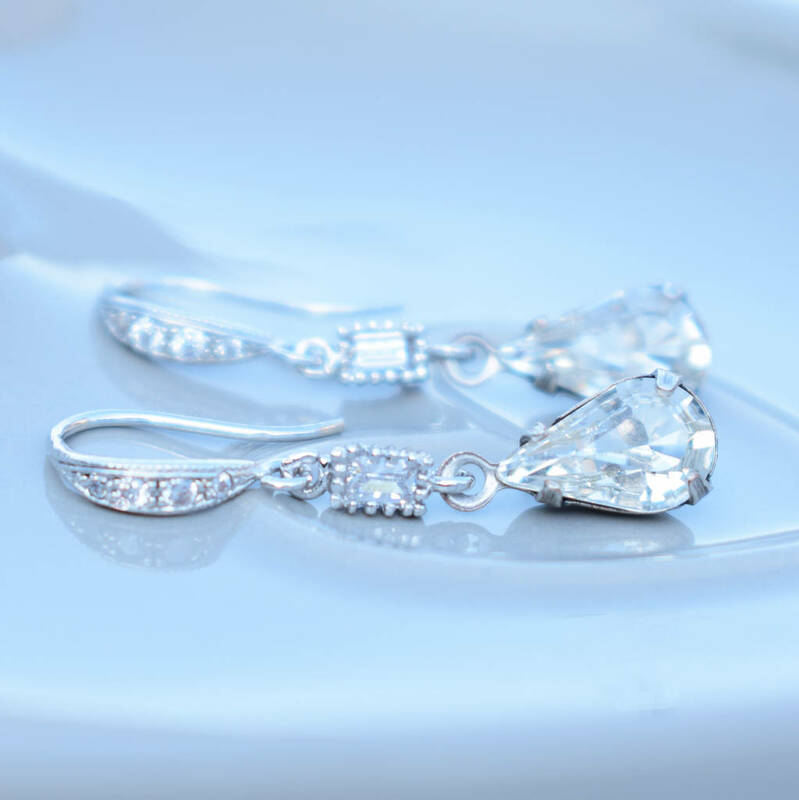 A delicate pair of crystal drop earrings. 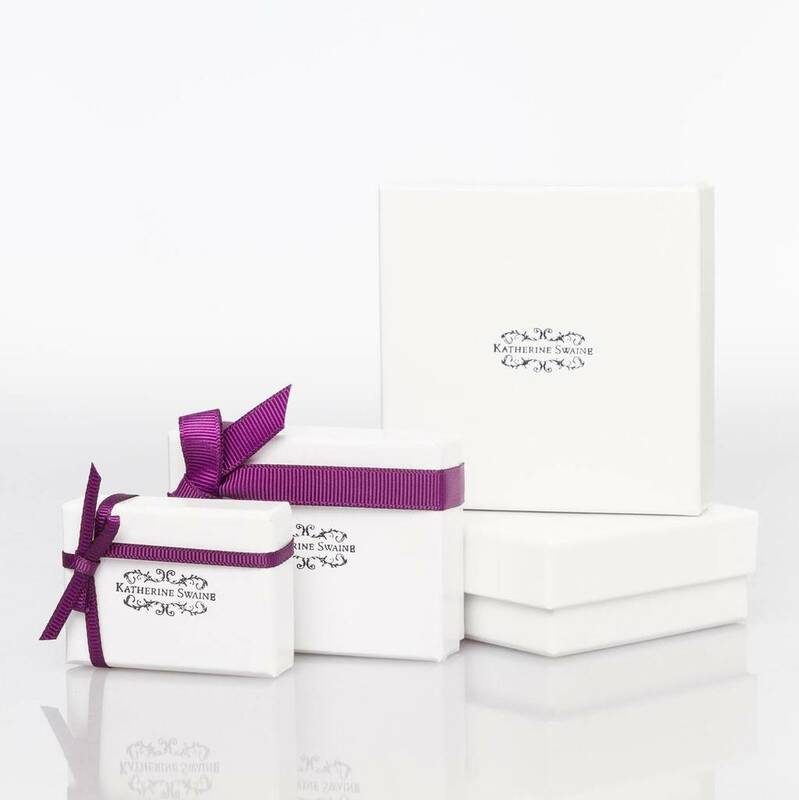 The design includes a simple crystal baguette connector with a pear cut crystal. 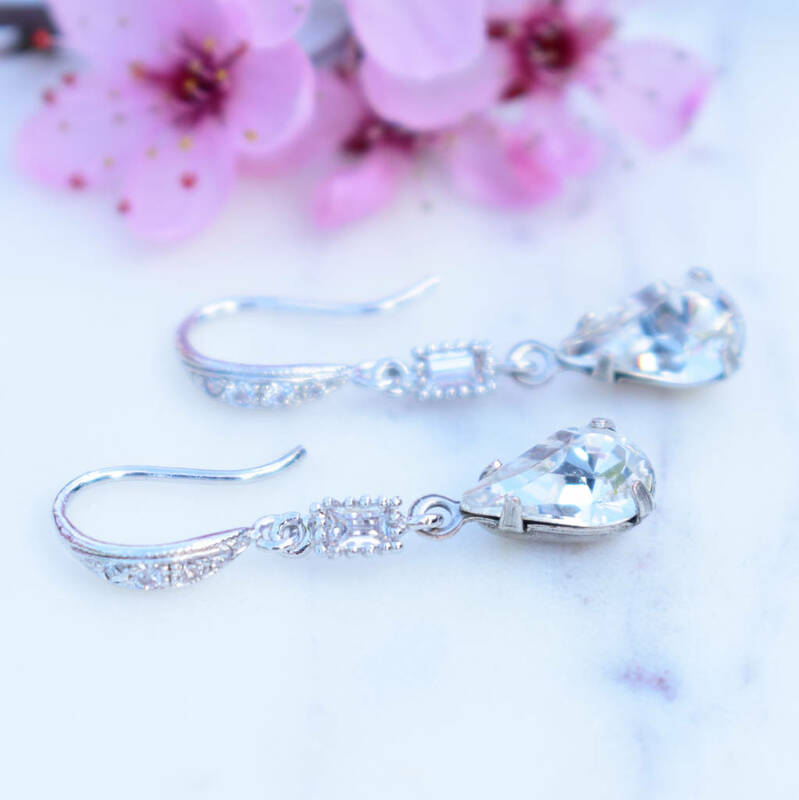 The dazzling drop is set onto cubic zirconia embellished hooks. 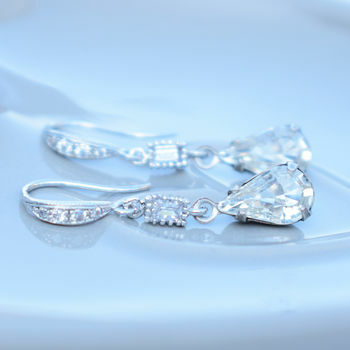 925 St. silver cubic zirconia hooks. Vintage style 4mm by 3mm baguette connector. 10mm by 6mm pear cut crystal. The earrings measure a total length of 3cm (30mm). This product is dispatched to you by Katherine Swaine.